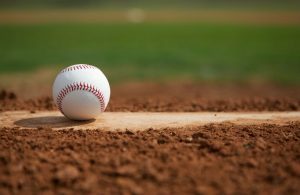 Home » Just for Fun » What are some Summer Tailgating Recipes for Baseball Season? What are some Summer Tailgating Recipes for Baseball Season? It’s summertime here in Georgia and people all across the state have been enjoying their favorite outdoor hobbies. By far one of the most popular summertime pastimes here in Georgia is taking in a local baseball game. As we all know, a baseball game isn’t complete without tailgating before hand to eat tasty food and have a few drinks. 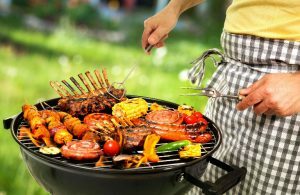 Therefore, we have decided to dedicate this article to highlighting some great summer tailgating recipes for baseball season, continue reading to learn more. One of our favorite game day favorites for tailgating are juicy and spicy Jalapeno Poppers. This bite size finger food is extremely easy to make and is always a fan favorite. Check out the recipe below to learn how to make them. Beer brats are probably the most famous ballpark tailgating recipe in Wisconsin and with good reason. Therefore, we thought it would be a great idea to bring this recipe to Georgia. Follow the directions below to give this amazing Wisconsin recipe a try. All of us here at Gil’s Auto Sales hope that you try these great tailgating recipes the next time you visit a local ballpark! This entry was posted on Sunday, July 10th, 2016 at 2:53 pm	and is filed under Just for Fun. You can follow any responses to this entry through the RSS 2.0 feed. You can skip to the end and leave a response. Pinging is currently not allowed.